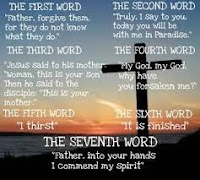 The seven last sayings of Jesus on the cross provide an outline for a sermon series that many have used quite effectively. One of those sayings—"It is finished"—has become the cornerstone of differing beliefs among evangelicals, high-church liturgists, and other denominational persuasions and types. Each of these sayings has volumes written about them; and, as would be expected, not all agree in their interpretation or application. However, during the course of my very limited research into this, the differences are not as far apart from each other as they are for "It is finished." "It is finished" translates one single word from the Greek text. The word "it" is an impersonal pronoun in the English language. A pronoun must have an antecedent—a noun to which it refers—in order to make sense. This grammar rule, when neglected, makes communication somewhat difficult. If I came up to you and without introduction, said, "He is the worst thing to ever happen to this country," whom do you think I would be talking about? You would have no way of knowing until I made it clear by giving out someone's name. Given this information, then, demands that we ask the question, "What is finished?" To what does "it" refer? What is the antecedent? I don't know, and I believe it is safe to say neither does anyone else. That has not stopped many from telling us exactly what it means, though. The range of interpretations goes from finishing His earthly assignment to completing the plan of salvation to rendering unnecessary any activity on our part as pertains to salvation. Jesus said, "I have glorified thee on the earth: I have finished the work which thou gavest me to do." (John 17:4) That doesn't help much, does it? We are still left with the question, "What was the work He was given?" Ambiguity is not something with which the western mind can easily grapple. It must have clarity in all things. Therefore, without so much as a nod in the direction of possible alternatives, we applaud those who speak what we believe. Mystery is not something we allow for too long. Maybe for the length of a good novel, or a mini-series on tv; but there must be a solution. God seems to have a somewhat different perspective on this. Is there something "wrong" with choosing one interpretation of this verse over another? Probably not. Just as I hope there is nothing "wrong" with being content to embrace the mystery of not knowing. To paraphrase A.W. Tozer—Love and Faith are at home with mystery. Let Reason humbly kneel in its presence.